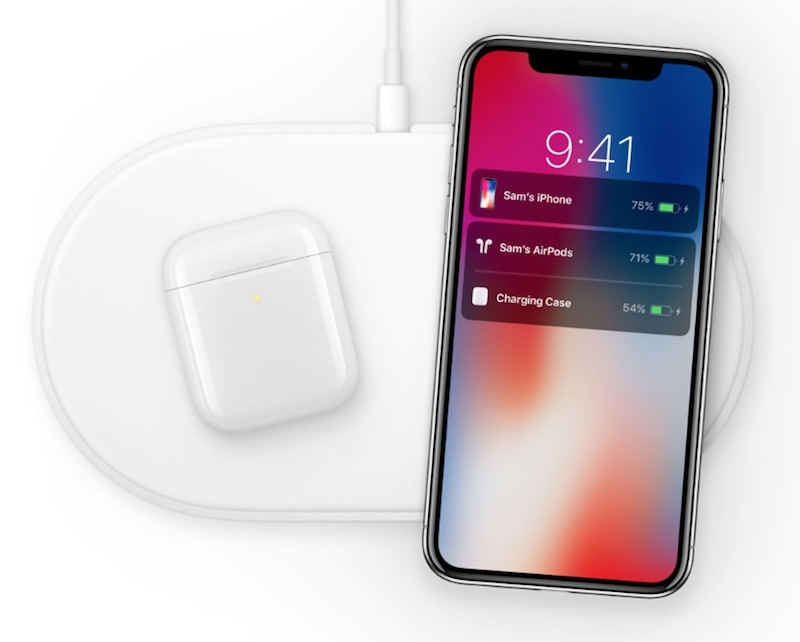 At its iPhone X event last September, Apple previewed a new wireless charging case for AirPods, for use with its upcoming AirPower charging mat. The new case looks similar to the current version, which charges via Lightning cable, but it has a built-in induction coil that also enables wireless charging. Conveniently, it appears that the AirPower won't be the only way to wirelessly charge AirPods placed in the new case. Chinese publication Chongdiantou, citing unnamed sources within Apple's supply chain, claims that the wireless AirPods case supports the Wireless Power Consortium's universal Qi standard, implying that it will be compatible with any Qi-certified charging mat from companies beyond Apple. Chongdiantou has made headlines recently after leaking photos of what is claimed to be an engineering prototype of Apple's new 18-watt USB-C power adapter for 2018 iPhones. The website, citing unnamed industry insiders, also claimed that the AirPower should be released this September for around $149 in the United States. Overall, the publication lacks an established track record. According to Bloomberg, Apple aims to release the AirPower by the end of September, so there's a good chance its pricing and availability will be detailed at Apple's usual iPhone event next month, which hasn't been announced yet. The wireless AirPods charging case should be released simultaneously with the AirPower. Apple's marketing chief Phil Schiller said the wireless charging case will be optional, so customers with the original AirPods will be able to purchase it separately. Pricing has not been disclosed. Apple is also expected to announce second-generation AirPods with "Hey Siri" support at its September event, but it's unclear if the wireless charging case will be standard, or also be optional for those. AirPower can charge multiple devices at once, including the iPhone 8, iPhone 8 Plus, iPhone X, Apple Watch Series 3 models, and AirPods placed in the new wireless charging case. Apple said it would work to have its proprietary technology become part of the universal Qi standard supported by many companies.